- Material Safety Data Sheets and GHS SDS's. - Materials and their hazards. 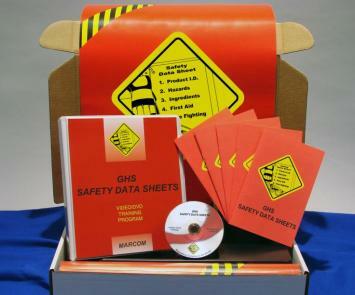 MARCOM's Safety Meeting Kits provide all of the materials needed to promote and conduct a safety meeting. Each Kit contains a DVD program, 5 posters and 30 booklets. DVD kits come with an easy-to-use leader's guide, scheduling and attendance forms, and an employee quiz. The DVD versions of the programs are divided into 2-3 minute "chapters", so the programs can be shown in their entirety in a single session, or individual chapters can be used as the basis for a number of 10-15 "safety meetings.